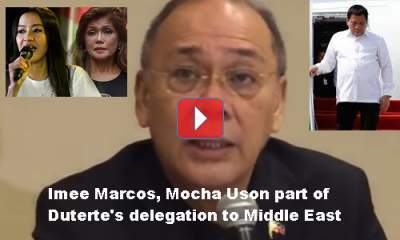 Some people are envious of Mocha Uson and Imee Marcos to be included in the Du30 Middle East delegation. Naturally, there are good reasons behind it. Uson for fellowship as requested by many followers over there and Marcos to check on the plight of her constituents over there. Is it right to ask if the government pays for their trip? 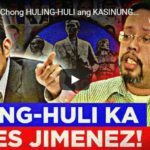 Presidential Spokesman Ernesto Abella can only laugh a bit and said that – they are part of the delegation so he presumes that they are covered. 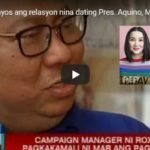 [VIDEO]: Presidential Spokesman Ernesto Abella says blogger Mocha Uson was invited to have ‘fellowship’ with overseas Filipino workers in the Middle East. Abella also explains the presence of Ilocos Norte Governor Imee Marcos in Duterte’s Middle East trip. As a pro-Du30 blogger, Mocha Uson who is also a member of the Movie and Television Review and Classification Board is part of the Philippine delegation for the Middle East state visit of the president. Uson is part of the foreign trip as a blogger with a large following among the overseas Filipino communities over there. It is in their interest that she visits to help boost morale and well-being, Abella clarified. 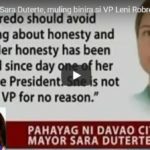 Envy reigns when Uson posted a video of her riding the presidential plane – together with Cabinet members and Presidential Management Staff. They should not forget that Uson is not a mere starlet anymore, she’s already a government official. She was included in the official delegation and not the media delegation. Abella was tentative on his answer when asked if the government shouldered Uson’s trip. She is expected to grace the President’s meetings with the Filipino communities that constitute most of her followers in the 3 countries. “She was part of the entourage so I suppose. I’m not sure but I’m assuming she was,” he answered with a smile. Imee Marcos admits that she personally requested to be part of the Middle East delegation. “I really requested to join because of the overseas, migrant, labor issues in the Middle East,” she said. Any more questions? KNOWLEDGE WITHOUT JUSTICE OUGHT TO BE CALLED CUNNING THAN WISDOM!